Today, we have covered the best deals Paytm Mall has on BT headphones. The products we have found on the platform are from brands like JBL, Sony, and more. Paytm Mall is currently offering some interesting cashback deals on wireless headphones. The products we have in the list below are on-ear, over-ear and in-ear headphones. The JBL T450 BT is a wireless on-ear headphone, which features a swivel ear cup design that enables easy storage. The device comes with a built-in microphone and ear cup mounted controls to manage calls and tracks. As per the company, it has a battery life of 11 hours. Click here to buy. The Sony MDR-XB650BT is an over-the-ear wireless headphone that works within a range of 10m from a connected device. The device features a swivel ear cup design that lets you store the headphone easily. The device features a 30mm dynamic drivers and as per the company can provide up to 30 hours of playback. Click here to buy. The Sennheiser HD 4.40-BT is an over-the-ear wireless headphone that comes with Bluetooth 4.0 connectivity. The headphone comes with a built-in microphone and ear cup mounted controls. According to the company, the headphone can provide up to 25 hours of music playback on a single charge. Click here to buy. The Ubon BT-5600 is a wireless on-ear headphone that also features a TF card slot for streaming music via a microSD card. According to the company, the headphone can provide up to six hours of music playback in one go. Click here to buy. The JBL E25BT is a wireless in-ear headphone that comes with a neck clip, which allows you to clip the headphone in place when in use. The device comes with a three button in-line remote that lets you manage your audio and calls. As per the company, it can deliver up to eight hours of music streaming on a single charge. Click here to buy. 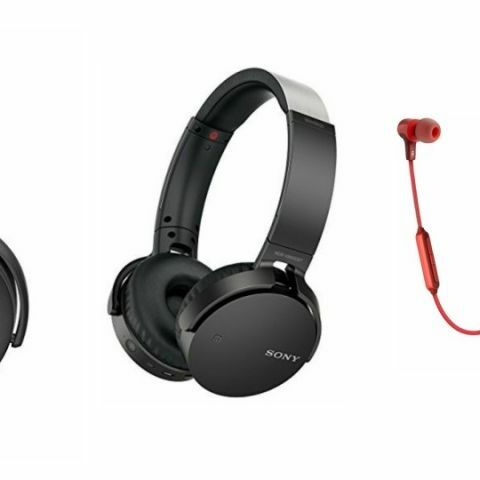 which is the best wireless headphone under 1500 INR? Need suggestion for buying over ear wireless headphone.